Spotted at the Marriott Hotel earlier tonight. 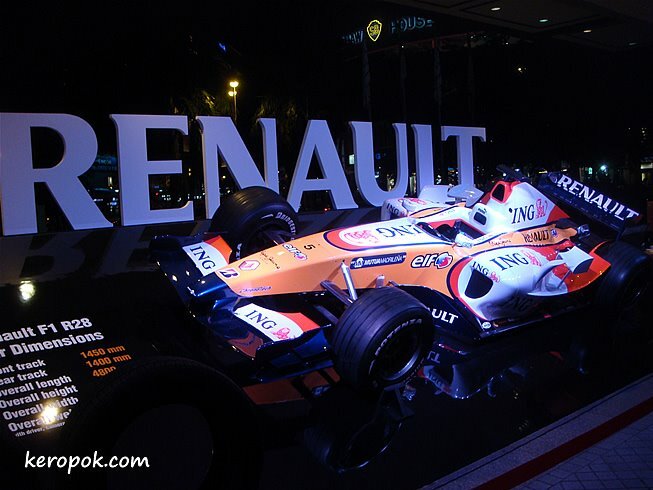 The Renault F1 R28 showcar, it is identical to the ones used by Renault's F1 drivers. wow you have a cool night shot of it!! lately f1 racers are everywhere in singapore!